Weather and sleeplessness prevented me from birding this weekend, but I’d like to use this opportunity to discuss a bit of controversy in the birding world. From time to time in the “birdosphere” of field guides, magazine articles, journals and blogs, the debate will rise again on how to name birds in print and digital displays. As in computer scripting and coding, where there’s a long and ongoing conflict between “camelCase” and using an underscore between words, there’s likely never to be a reconciliation. On the one hand, you have the Capitalization Camp, which feels it is necessary to differentiate the local, common names of a species from more mundane and generic descriptions. On the other hand, is the Proper Noun Camp, which feels capitalization is reserved for proper nouns such as specific things or individuals, like if you had a parakeet named “Minuet”. We’ll use our trusty and handsome avian friend, Cyanocitta cristata as an example. Is this a blue jay or a Blue Jay? 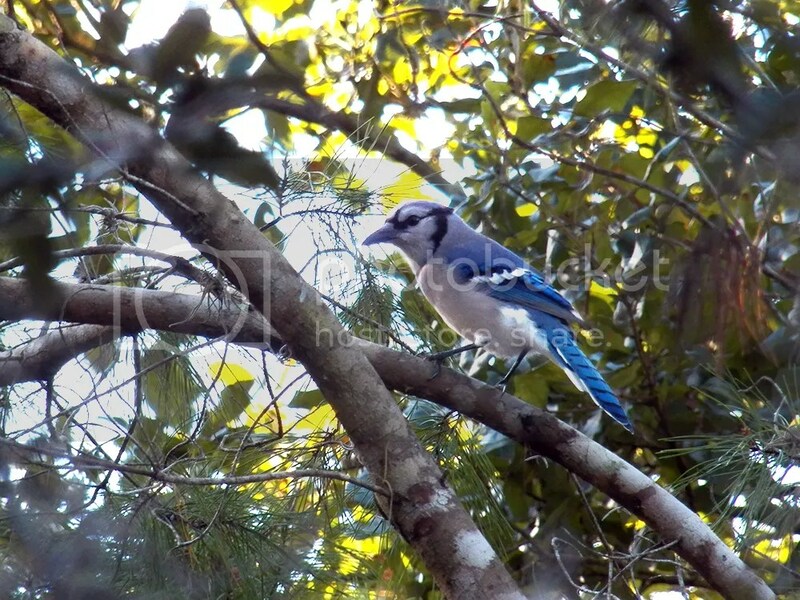 The Capitalization Camp says this is a Blue Jay, specifically referring to this species of jay. A mere “blue jay,” the rationalization goes, could be Cyanocitta cristata, Aphelocoma coerulescens or any other jay that is colored blue. Also blue and a jay. On the other hand, the Proper Noun Camp says that the specific, individual bird is not named and there are more than one “blue jays” or “Florida scrub jays” in the world, and to capitalize the name is improper. 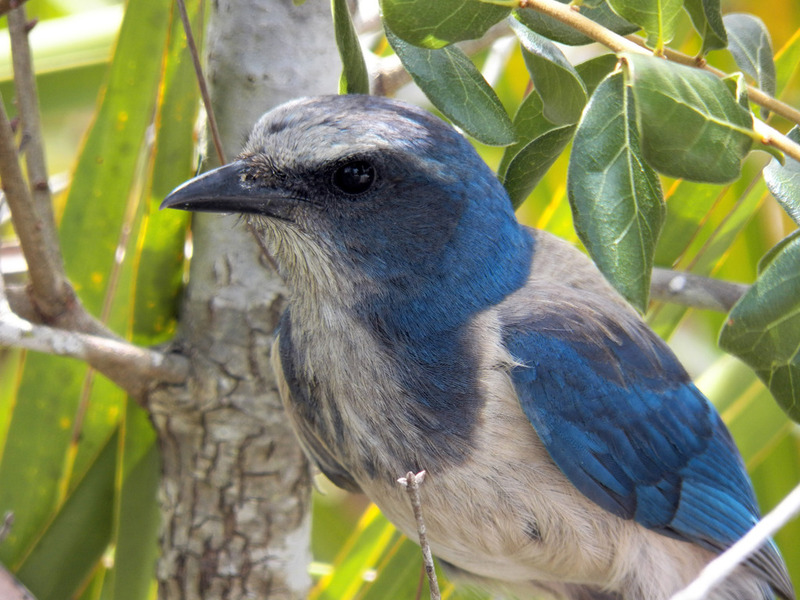 The Capitalization Camp would also say the above bird is better referred to as a Florida Scrub Jay, to differentiate it from its western cousin, the “Western Scrub Jay” (which the Proper Noun Camp would no doubt want to call the “western scrub jay”). If you’ve read my blog, you know I subscribe to the “Capitalization Camp,” as I see the non-scientific names of the bird species as a sort of “pseudo-proper” noun. It’s not as personal as calling a bird “Bob” or “Mary” but clearly differentiates it from something generic like a blue jay or a yellow warbler (there are a LOT of yellow warblers!). 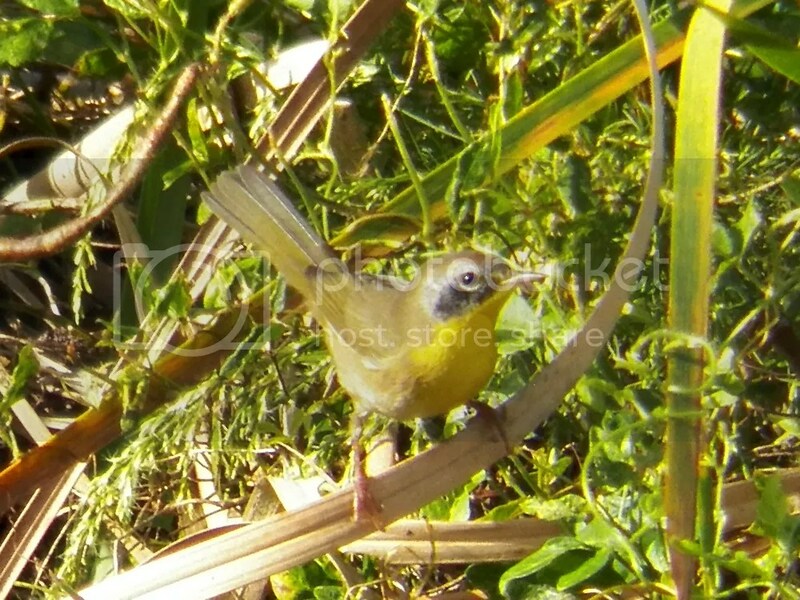 Geothlypis trichas is a yellow warbler. But it turns out that to capitalize or not has another issue that I hadn’t considered until recently. My friend and überbirder Laura Erickson somewhat recently brought up the capitalization issue as it relates to non-birders. Specifically she was wondering if using capital letters seemed snobby or elitist to non-birders. This is something I had not thought of, but seemed a legitimate, if somewhat self-important question. Does it portray birders as pompous for using capitalization in a manner that non-birders might assume is reserved for proper names? Here, the Proper Names Camp has some traction. If, in the public eye, the use of capitalization is seen as unnecessary (or even incorrect) and puts birders and bird watching in a negative light, isn’t that a reason for the Capitalization Camp to fold up their tents and give up? It’s not clear what the “public” thinks about this (or how much they do or should care), so for now the debate will continue. But in the end, does it matter if we all know what we are talking about? It would seem to me that in the end it’s clear what bird species or type we are writing about in context, and as long as we are communicating our love, respect and excitement about birds and their importance in the world, we’re all doing fine. That’s what matters to me, even though to me it will always be a Blue Jay. What do you think? Posted on 2014 August 11 by Lonely BirderPosted in BirdingTagged bird watching, Birding, birds, capitalization, developedworldproblems, firstworldproblems.